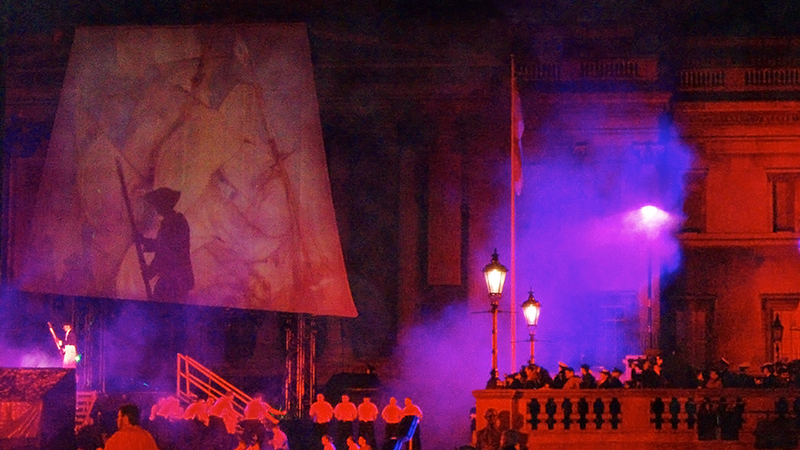 A composition specially commissioned for the Trafalgar Bicentennial year and given a Royal performance with an audience of 10,000 in London’s iconic Trafalgar Square. The work celebrates Britain’s maritime heritage covering the 200 years from Nelson to the present day. 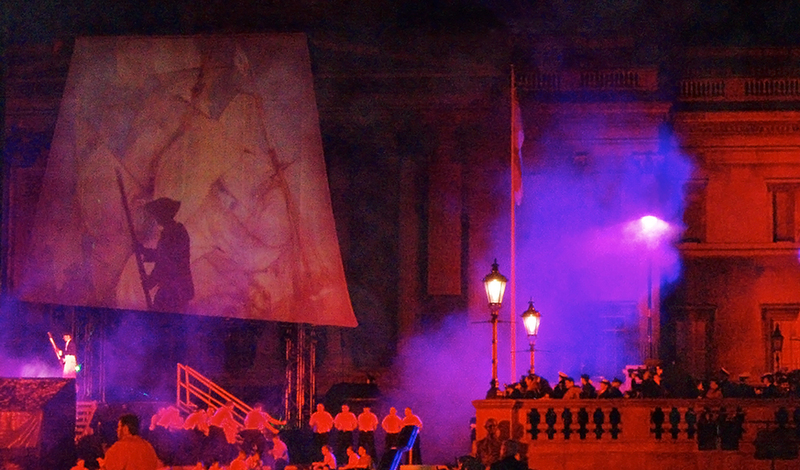 Trafalgar Square 200 was the grand finale to a comprehensive series of major events across the globe commemorating the bicentenary of the Battle of Trafalgar and Nelson’s death. 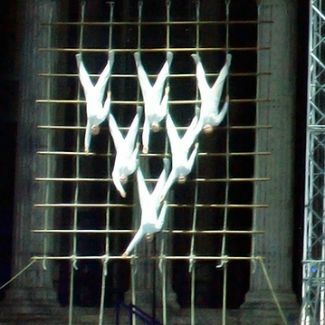 The event was broadcast live round the world and featured on the BBC’s prime evening schedule in the UK. 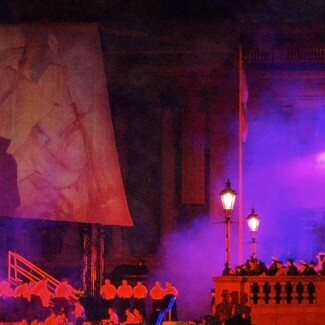 The theatrical action, as well as capturing the historic context of the Battle of Trafalgar, encompassed the architecture of the square itself. Royal Marines fast roped down the face of the National Gallery, Free-runners scaled the column and Tameside unit performed an acrobatic window ladder display. The finale included performances by the choir of The Royal Grammar School, Newcastle and operatic soloists Susan Jiwey and Alex Pidgen. 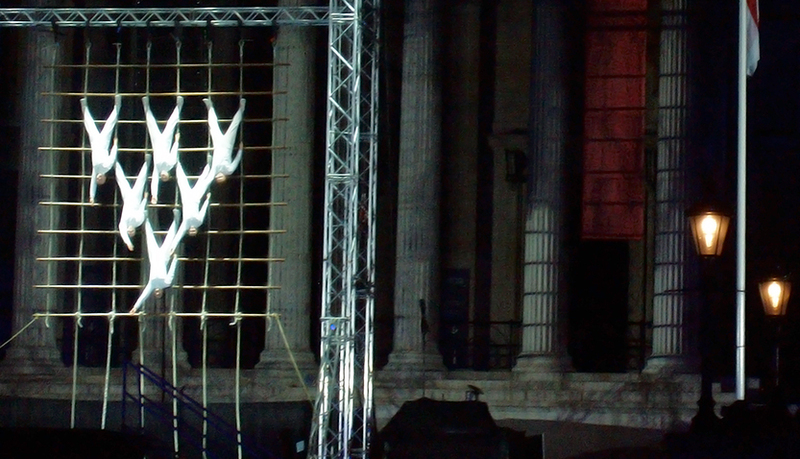 Trafalgar Square 200 was directed by Robert Alge for Innovision.